Our holy mother Mary was born in Egypt. She had left her parents at the age of twelve to go to Alexandria, where she spent the next seventeen years in debauchery and the greatest profligacy. Living on charity and linen-weaving, she nevertheless offered her body to any man, not being forced to it by dire necessity as were so many poor women, but as though she were consumed by the fire of a desire that nothing was able to appease. One day, seeing a crowd of Lybians and Egyptians moving towards the port, she followed them and set sail with them for Jerusalem, offering her body to pay her fare. 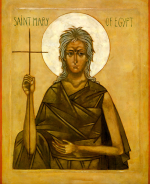 When they arrived in the Holy City, she followed the crowd that was thronging towards the Church of the Resurrection, it being the day of the Exaltation of the Cross. But, when she reached the threshold of the church, an invisible force prevented her entering in spite of repeated efforts on her part, although the other pilgrims were able to go in without hindrance. Read the entire story on the Greek Orthodox Archdiocese website. The Sunday of St. Mary is also a reminder of the purpose of Lent: to turn away from our sins. Fr. Thomas Hopko speaks of repentance and inner transformation in a podcast located on the St. Peter website. An overview of services and Holy week can be found on the Antiochian website. Pre-Sanctified Liturgy on Wednesday, April 2 at 5:30pm. Salutations on Friday, April 4 at 5:30pm. Pre-Sanctified Liturgy on Wednesday, April 9 at 5:30pm. Fr. Hans will be in Washington DC attending a meeting from Sunday afternoon until Tuesday evening. He will be available by cell phone. There will be Divine Liturgy this Sunday, April 6 (his plane leaves in the afternoon). Once again you can help sponsor the St. Peter Community Easter card. This is a great way to offer your best wishes to other members of our parish family and support your church at the same time. You can sign up for the card on the website or following Divine Liturgies on Sunday. Deadline to be included in the card is April 12, 2014. Reserve Palm Sunday (April 13, 2014) for the annual St. Peter Palm Sunday Brunch to be held at the community center of Island Walk on Vanderbilt Beach Road east of I-75 (get map). We start following Liturgy at 12:30. Our brunches and pot-lucks are good — low key with plenty of rich conversation and fellowship. Also, the food is always exceptional. Please sign-up on Sunday after Liturgy or use the sign-up form on the website. Island Walk requires a full guest list and we need to know how many people to prepare for so please sign up ASAP. Also, the Town Center at Island Walk is completely smoke free (enforced) and parking is allowed only in the parking lot and on the street (also enforced). St. Peter's needs your help! There is some administrative/secretarial work to do to keep St. Peter's running smoothly. We need someone to help us for the next year. Most of this can be done at home through email. If you can volunteer, please speak to either Jack Long, John Hansen, or Fr. Hans. A special thank you to Mary Copeland who has handled so much of this over the past few years. Make your vows to the Lord our God, and perform them. Brethren, when Christ appeared as a high priest of the good things that have come, then through the greater and more perfect tent (not madewith hands, that is, not of this creation), He entered once for all into the Holy Place, taking not the blood of goats and calves but His own blood, thus securing an eternal redemption. For if the sprinkling of defiled persons with the blood of goats and bulls and with the ashes of a heifer sanctifies for the purification of the flesh, how much more shall the blood of Christ, Who through the eternal Spirit offered Himself without blemish to God, purify your conscience fromdead works to serve the living God? But Jesus said to them, “You do not know what you are asking. 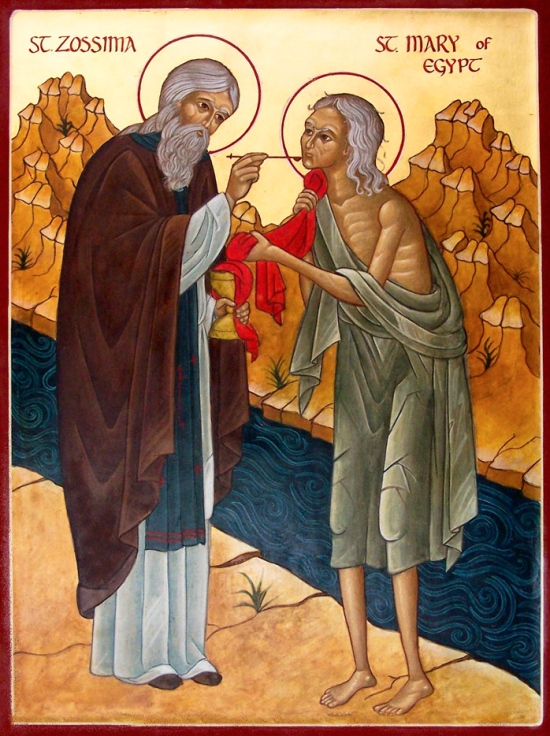 Are you able to drink the cup that I drink, or to be baptized with the baptism with which I am baptized?” And they said to Him, “We are able.” And Jesus said to them, “The cup that I drink you will drink; and with the baptism with which I am baptized, you will be baptized. But to sit at My right hand or at My left is not Mine to grant, but it is for those for whom it has been prepared.” And when the ten heard it, they began to be indignant at James and John.